Rice is such a versatile dish. Considered one of the main dishes for anytime of the day or night. 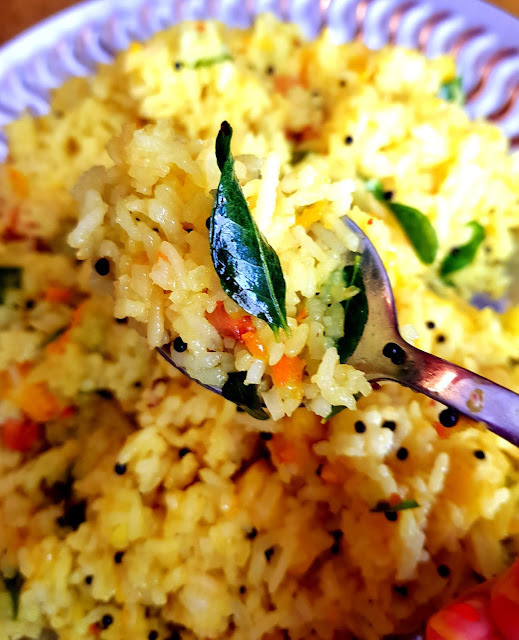 Somedays I hardly feel like cooking or have a lack of ingredients in my kitchen pantry for a good pulao or fried rice. So, what to do in those moments? 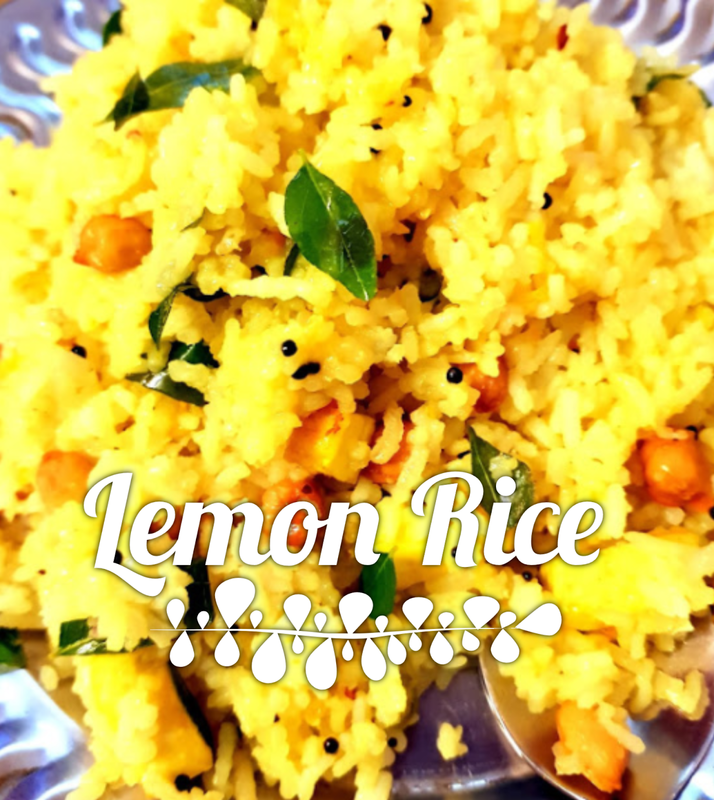 Lemon Rice is an excellent option. It uses no onions, tomatoes, ginger or garlic and yet tastes so fresh and appetizing. 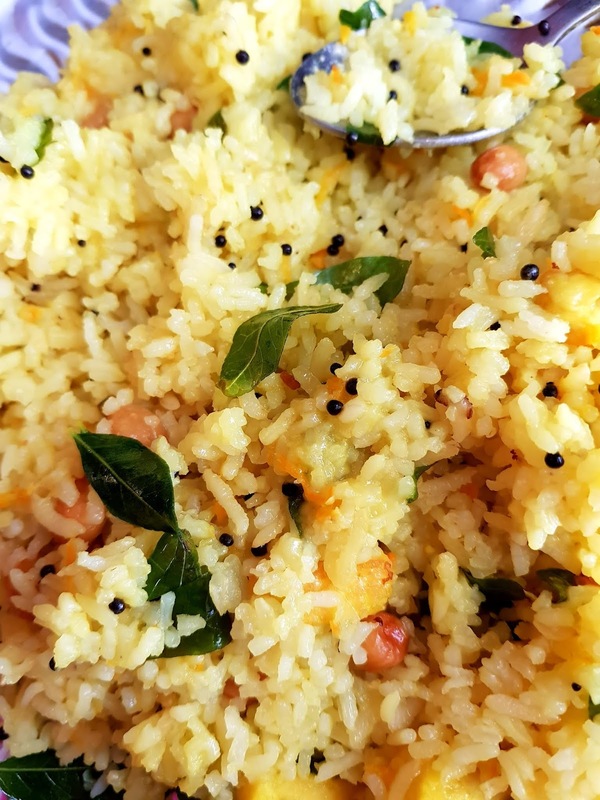 Lemon rice also utilizes leftover rice in fridge and becomes a good option for tiffin purposes. For those who love peanuts and curry leaves, this rice preparation will be a hit. Ideally make it with previously cooked or leftover rice. Freshly steamed rice is relatively softer and further cooking will make rice mushy. However, there are no boundaries. You can definitely cook some rice till its 70-80 percent done. Strain the water and add to the temper. Your lemon rice will turn out good. Lemon rice is little tricky to pair with other dishes. But you can serve it with sambar, aarhar dal, any type potato sabzi, or even non-veg gravy that is made in Chettinad style. 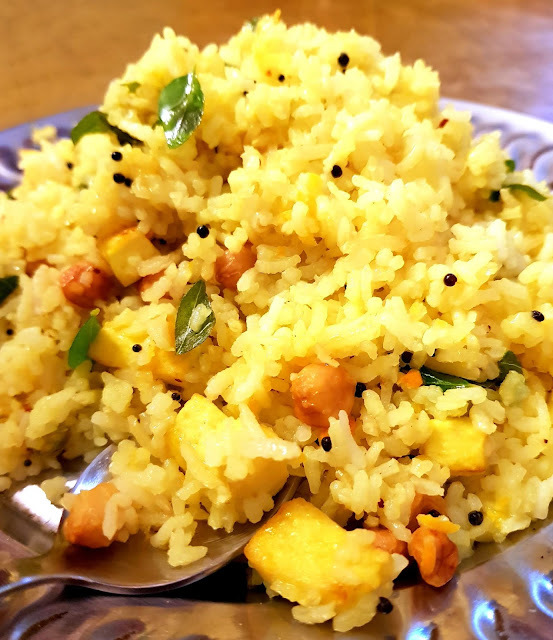 I, however, love to eat lemon rice as it is or with aloo bhaja or even an omlette. In a kadhai heat some oil. Ensure that all the seeds sputter/crack and wait till there is no sound of seed cracking. Now add curry leaves, peanuts, green chillies and haldi. As soon as the raw smell of haldi goes away and peanuts turn golden brown, add salt, sugar, lemon juice and 1/4 cup water. Reduce the water to half and add in the cooked rice. Stir and cover for 5 minutes on low heat. This dish is very forgiving in terms of the quantity of ingredients you want to put. For example, you can increase the quantity of peanuts or may omit it if you dislike peanuts. Instead cashews can be added. Or omit any type of nuts in lemon rice. The amount of tartness you desire in your lemon rice can be adjusted by adding more or less of lemon juice. Moreover, if you want a really lemony fragrant rice then add 1 tsp. of lemon zest along with juice. I never claim to make authentic dishes and have with time kept on modifying dishes. Many times, during tempering of mustard seeds and peanuts I add pieces of paneer (cottage cheese) or onion slices. It tastes just as good and sometimes even better.